I have been doing a few little projects for Christmas mostly cards and started thinking about some gifts for Christmas. Once I got started with these little gems I couldn't stop! You can alter them to suit anyone, and any theme. I did some that were Christmas themed and others that were not themed specific. I used a variety of papers, if you like a patterned paper but the pattern is too large perhaps they have it in a 6x6 format that will work. 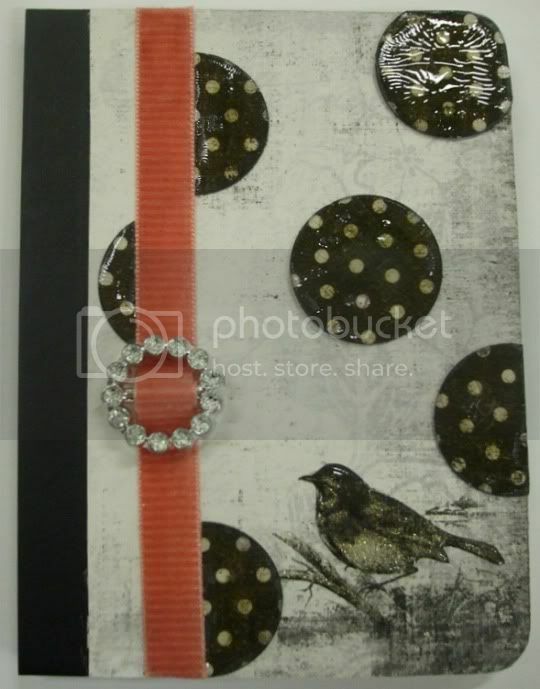 I also used glossy accents and stickles to highlight areas of the papers. 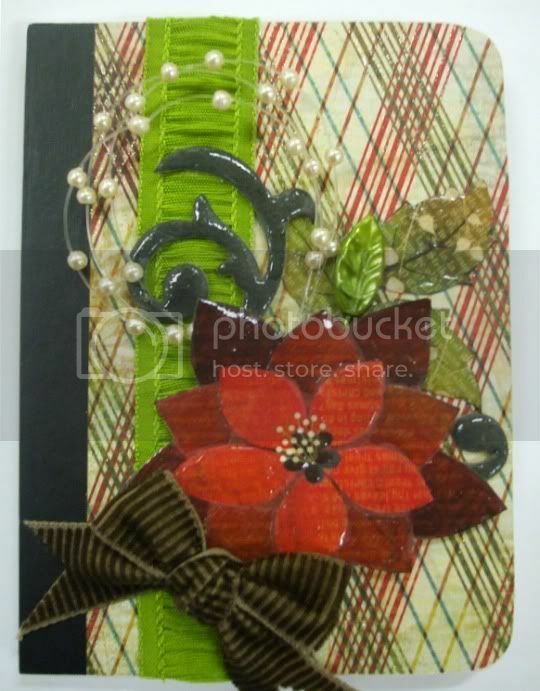 Chipboard pieces, ribbons, flowers! They possibilities are endless to what you can use on these books. When I covered these I used a tape runner, it's important to get the adhesive to the edge. I then cut around and sanded the edges to make them smooth. Then just alter! I hope that this inspires you to try some altering, it can be so much fun! Wowza! So many beautiful details; I just love all the fabulous layers you've incorporated! so happy you started a blog!!! You know I love blogs! I have bookmarked this one and will check it regularly for fun ideas. Thanks Nola! We are having SUNDAES ... a "make your own sundae" bar!